Summer seems to bring with it an obsession with weight loss, a desire to be in a thinner, more beautiful, leaner body. 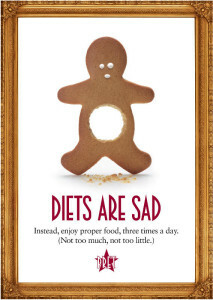 I know the feeling and I also know that diets are sad and don’t work and that most people end up gaining the weight back a few months after the diet. So how about trying a different approach for weight loss? An approach based on pleasure and kindness instead of deprivation and restriction. 1. Focus on what you want to eat MORE OF instead of what’s off limit. What do you want to include more of in your diet? Vegetables? Protein? Superfoods? More regular meal times? More exercise? By adding healthy foods and habits instead of focusing on eliminating unhealthy ones, it is easier and more natural to create new habits as less healthy options are ‘crowded out’. Plus, one of the reasons diets have such a spectacular fail rate is because making food off limit is the best way to become obsessed with it. So why not identify one small habit you would like to add to your life and start there? Start small and build up. One of the ways sumo wrestlers gain weight is by skipping breakfast and having a big, late dinner right before going to bed. If this sounds like you and you are trying to lose weight, try shifting your eating schedule to eating the majority of your food earlier in the day – this could work wonders. Eating as early and as light as possible in the evening can help you sleep better, digest food better and wake up hungrier for breakfast, when your body’s metabolism is in a better state to handle food. It also enables the liver to go into fat burning mode, a necessary state for weight loss. Instead of trying to limit your food, listen to your body’s hunger signals. Our bodies have an innate wisdom and eating when you are hungry and stopping when you are satisfied can boost weight loss without depriving yourself of anything. 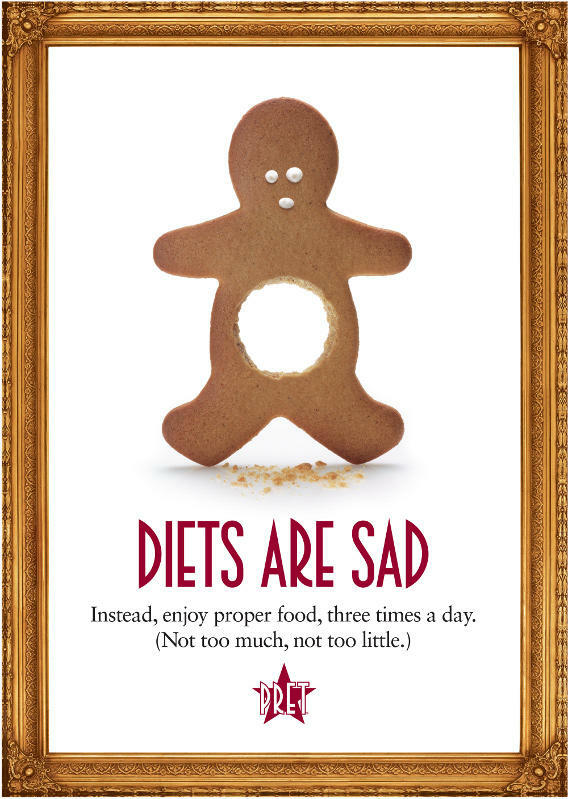 This is exactly the opposite of dieting where we deliberately ignore cues like hunger (by limiting food or skipping meals) and satiety (especially on ‘cheat days’ or binges – which are always the consequence of some form of restriction). Try slowing down and really tasting and enjoying your food. You might be surprised that you actually need less than you thought! By simply being more present to your meals, you can reduce overeating by up to 30% and you will probably have less cravings, too! If you force yourself to exercise or eat in a way that stresses your body, you actually produce stress hormones, which signal to the body to hold onto fat and not lose weight. So overexercising or punishing yourself with forms of exercise you hate is counterproductive to losing weight. Move in a way that makes you feel great afterwards, that celebrates your body and everything it does for you, rather than something that feels like a punishment. Experiment to find movement you enjoy. Experiment with healthy food. Fully enjoy EVERYTHING you eat, regardless of how ‘unhealthy’ it is. There is no point in eating something ‘healthy’ you hate. The pleasure we get from food has been shown to affect how well we metabolise food and even the nutrients we extract from it. And we can only take pleasure in something when we are present, so practise slowing down and savouring your food! You may not be where you want to be but be honest: Has whipping yourself into shape been a sustainable solution in the past? This is your body and it deserves love and care right now – after all, does it make sense to take care of something you keep rejecting? Treat yourself as you would a friend – if you are not able to eat or move as well as you would like, don’t make it worse by beating yourself up. Guilt or feeling bad about slipping up has been shown to lead to more eating in an effort to soothe oneself. And remember, that there is always a good reason we do what we do, including holding on to extra weight. Be gentle with yourself as you try to uncover these reasons, and know that you were doing the best you could until now. 6. Be realistic – do you really need a ‘perfect’ body? Finally, I want to urge you to be realistic. Are you willing to put in the effort and sacrifice needed for a perfectly toned body? If you are not, that is perfectly fine: Accept this and aim for something that feels more aligned with your body type and the effort you are willing to put in instead. I used to criticise myself for not having a magazine perfect body, especially when I first started food coaching. When I dropped the struggle with myself on this, I recognised that I do not value this enough to make the effort and sacrifices needed to get there. It doesn’t feel kind to myself to spend hours ‘sculpting’ my body because the outcome (a perfectly toned body) isn’t important enough for me. Once I accepted this, I was able to put my energy into nourishing myself with vibrant food that I love and moving my body in ways I enjoy instead of beating myself up about this. At the moment, the movement I enjoy most include mostly Vinyasa yoga, but also dancing, walking, and some high intensity interval training (HIIT) when I need something more energetic. I focus on how I feel in my body and how my body supports me in doing what matters to me in life, rather than treating it as a clothes hanger that needs to look a certain way to be acceptable. What weight loss goal feels most sustainable, realistic and kind for you? How much effort are you willing to put in for what result? How can you start with kindness towards yourself as a way of reaching your weight loss goals? 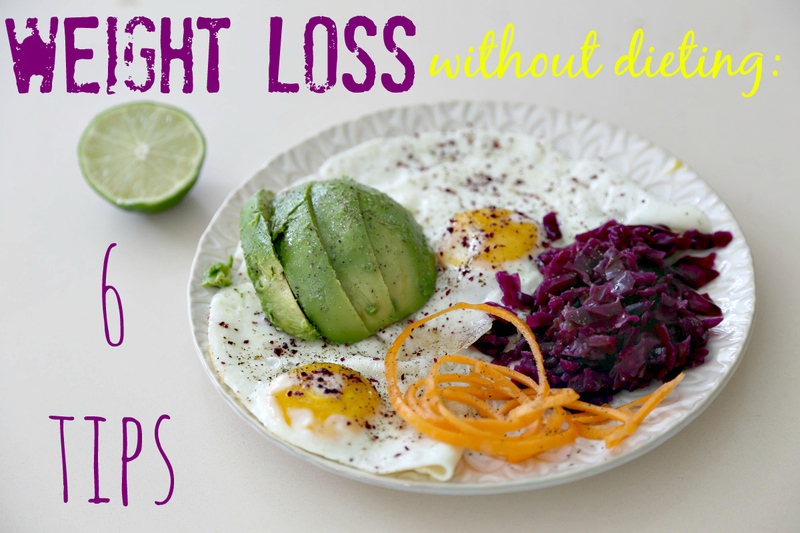 What are your favourite non-diet weight loss tips? If you would like to find our more about my individual sessions around weight loss in Geneva, book a free 30 minute Skype call to find out whether my approach is right for you!